There has been welcome attention in recent days on the stigma attached to being a beneficiary in New Zealand. As Catriona McLennan explained in the Herald on Saturday, beneficiaries are discriminated against, and their fraud is disproportionately punished. She cites UK research showing that distorted media coverage of benefit issues results in distorted public perceptions: people imagine that 27% of the social security budget is claimed fraudulently, when the actual figure is 0.7%. New Zealand media coverage of state housing can equally distort the issues and perpetuate stigma. Only last month, a Herald article stated that state housing had “entrenched a poverty of spirit, only partly offset by a widespread culture of cheating.” This is wrong on both counts. Cheating by state tenants is rare. We know this because Housing NZ puts a lot of effort into investigating fraud: a team of 16 investigates fraud and they claim a 95% success rate (whatever that means). Yet last year Housing NZ ended only 292 tenancies as a result of fraud or criminal behaviour. That’s 0.47% of the 62,000 properties on income-related rents. Or 0.42% of the total state housing stock. Either way, a tiny minority of state tenants cheat. But the New Zealand public might be forgiven for thinking otherwise: the details of why people were suspended from state housing are meticulously detailed by the media, while the fact that fraud is absent in 99.6% of tenancies is absent. Referring to state tenants as possessing a “poverty of spirit” is equally inaccurate. There are 200,000 people that have not been asked about the richness or otherwise of their spirit. What we do know, is that an HNZ survey showed [pdf, p.1o] that 85% of tenants feel more in control of their lives since entering state housing. Research by Otago University’s Health and Housing Programme [pdf] shows that the longer state tenants are in state housing, the healthier they are. 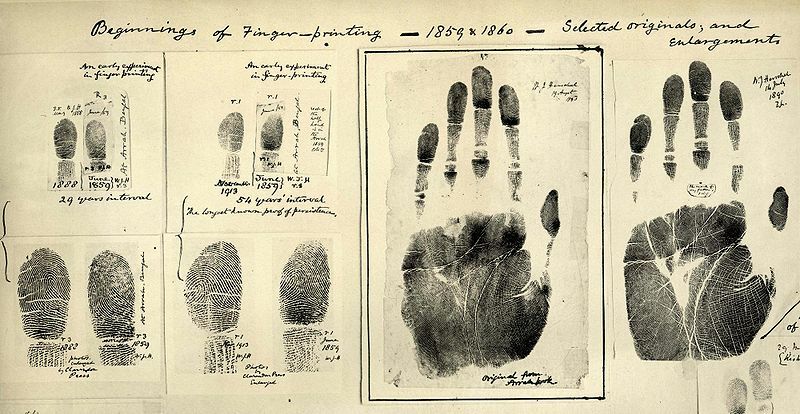 First Fingerprints taken 1859/60 by William James Herschel. Public domain.